Ambrosia Boussweau ponders the meaning of marriage in the stories of Constance Fenimore Woolson. Similar to "At the Chateau of Corrine", "Dorothy" centers on a family group,of affluent Americans on an extended holiday in Europe, in this story in Tuscany. They are staying in a large villa among incredibly beautiful Tuscan hills. "The Villa Dorio is a large, ancient structure of pale yellow hue; as is often the case in Tuscany, its façade rises directly from the roadway, so that any one can drive to the door, and knock by simply leaning from the carriage. But privacy is preserved all the same by the massive thickness of the stone walls, by the stern iron cages over the lofty lower windows, and by an entrance portal which resembles the gateway of a fortress. The villa, which, in the shape of a parallelogram, extends round an open court within, is large enough for five or six families; for in the old days, according to the patriarchal Italian custom, the married sons of the house, with their wives and children, were all gathered under its roof. In these later years its tenants have been foreigners, for the most part people of English and American birth—members of that band of pilgrims from the land of fog and the land of haste, who, having once fallen under the spell of Italy, the sorcery of that loveliest of countries, return thither again and yet fallen under the spell of Italy, the sorcery of that loveliest of countries, return thither again and yet again, sometimes unconscious of their thraldom, sometimes calling it staying for the education of the children, but seldom pronouncing the frank word "living." Americans who have stayed in this way for twenty years or more are heard remarking, in solemn tones, "In case I die over here, I am to be taken home to my own country for burial; nothing less could content me." 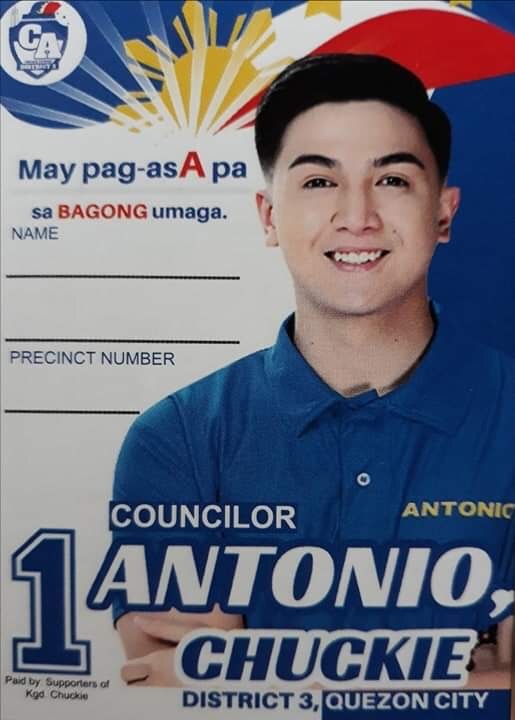 This post-mortem patriotism probably soothes the conscience. Upon the Saturday already mentioned the Villa Dorio had but one tenant; for Mrs. Tracy had taken the entire place for the entire year of 1881". Mrs Tracy is accompanied by her friend Mrs North and the young step daughter of Mrs North, Dorothy. The Americans are not really used to servants like those in Italy. The villa has fifty rooms but they occupy just a few apartments. The Americans fall in with other Americans. The interaction of the people in the story is a lot of fun. Something very big happens about midpoint, Dorotjy inherits eight mi,lion dollars from her father. Of course this now makes the issue of who she will marry on paramount import. They must guRd her from fortune hunters while exposing her in the right social circles. The attitude displayed toward the institute of marriage as regards women by the stories I have so far read is not the easiest thing to at once fathom. In our prior story, "At the Chateau of Corrine" marriage is seen as a soul destroying trap. In stories like "Saint Claire Flats" and too some extent "Solomon" women are portrayed as in thrall to odd men who in a conventional sense have ruined their lives. In "Bro." It does not take genius to see disaster coming for the young woman who marries thee returning grandson. Dorothy marries a man she very much loves, a good decent man. Then shortly after the wedding he leaves her a widow at only nineteen. By now the greT wealth of Dorothy makes her the total center of attention. She begins an extended period of alertnating hyper activity with long periods of extreme trooper. They move all about Europe trying to let her find peace. A lot of interesting things go on but the bottom line is Dorotny soon dies of a broken heart. Her marriage brought on her very early death. I will look at more marriages in the work of Constance. I have begun her novel Anne, as has Mel. 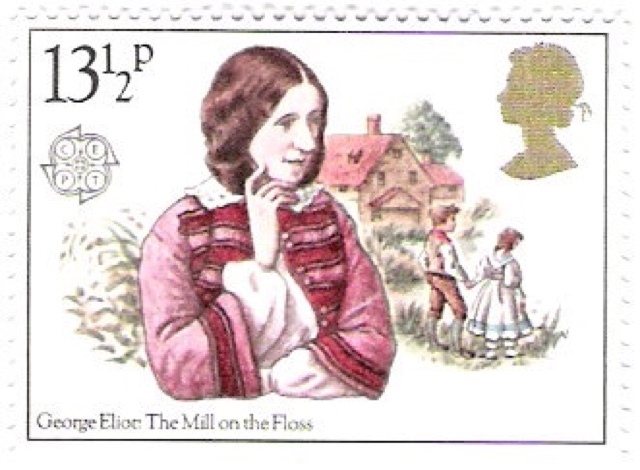 George Eliot (1804 to 1886), UK) is universally acknowledged as one of the greatest of all novelists. I have previously posted on her acknowledged by all masterwork Middlemarch and Silas Marner. The Mill on the Floss entered my To be Read list in 1960 when I learned about it in The Lifetime Reading Plan by Clifton Fadiman. 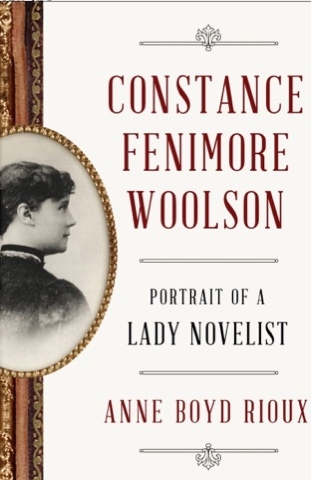 I was motivated to at last read this incredibly powerful work when I read in a biography of Constance Fenimore Woolson by Anne Boyd Rioux, Constance Fenimore Woolson Portrait of a Lady Novelist that The Mill on the Floss was a tremendous influence on Woolson. I saw the influence at once in the opening natural descriptions. So a book added to my TBR list 55 years ago is now completed! The central characters are Maggie and Tom Tulliver, brother and sister. Their parents own a mill on the river Floss. Maggie is nine when we meet her, Tom maybe twelve. The novel follows about fifteen or so years of their lives. The characters of the siblings are brilliantly realized. Like a mill stone crushes grain, life crushes Maggie and Tom, spiritually and physically. There is not pity for the human condition in Mill on the Floss. The frequent authorial observations on life put us in touch with a great intellect. The feeling of children growing to maturity is truly powerful. I actually gasped in delight after reading the chapter where Maggie, trying to run away from home, thought she had been captured by evil Gypsies. Maybe the best thing in the book is the development of Maggie. The final chapter was just overwhelmiingly, brutally harsh and shocking. There is tremendous social commentary and satire in The Mill on the Floss. This is far from a "feel good novel". It is a profound work of art with much to teach the willing reader. I am hoping some will share their experiences with the five Eliot novels I have not yet read. 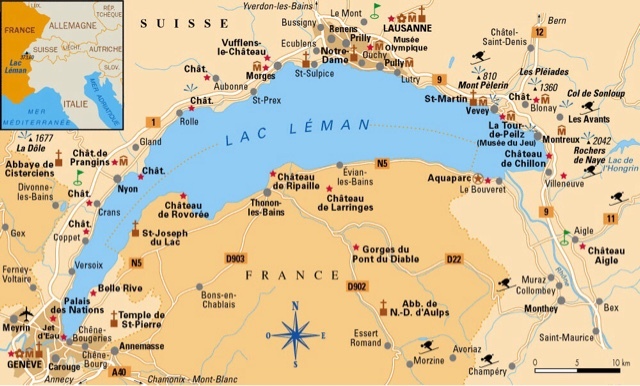 "At the Chateau of Corrine" takes place on the shores of a large lake, called by the Swiss Lake Geneva and Lake Leman by the French. The action centers on the visitors to a chateau on the lake. 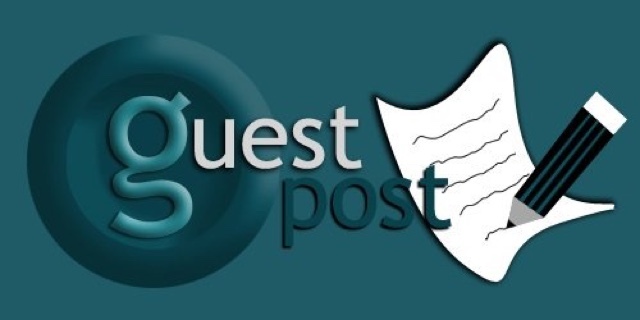 Last November Mel posted on an excellent short story by Stefan Zweig "An Incident on Laks Geneva". These two,stories, Zweig's was written about 1930, would make an excellent reading pair. I could not help but wonder what Constance would have thought of the very cultured, worldly and wealthy Zweig. "At the Chateau of Corrine" displays the extreme versatility and authorial skill possessed by Constance. It is very different in prose style from stories, set in America, like "St. Claire Flats", "Solomon", "In Cotton Country" or "Felipe". "At the Chateau of Corrine" contains no strange or marginalized personas, no isolates from crumbling aristocracies, no obvious mythological overlays. The persons are educated, socially adapt, and affluent. It almost feels like Constance is saying, "let me show these Europeans just how refined an American girl could be when she put her mind to it". Many famous writers like Byron, Voltaire, Charles Gibbon and, she will play an important part in the story, Madame de Staël. I like the opening lines. Those who have read the American set stories will feel at once a marked difference. Mrs. Winthrop had taken possession of the villa in May, and it was now late in August; Lake Leman therefore had enjoyed her society for three long months. Through all this time, in the old lake's estimation, and notwithstanding the English, French, Germans, Austrians, Poles, and Russians, many of them titled, who were also upon its banks, the American lady remained an interesting presence. And not in the opinion of the old lake only, but in that also of other observers, less fluid and impersonal. Mrs. Winthrop was much admired. Miolans had entertained numerous guests during the summer; to-day, however, it held only the bona fide members of the family—namely, Mrs. Winthrop, her cousin Sylvia, and Mr. H. Walpole, Miss Sylvia's cousin. Mr. H. Walpole was always called "Cousin Walpole" by Sylvia, who took comfort in the name, her own (a grief to her) being neither more nor less than Pitcher. "Sylvia Pitcher" was not impressive, but "H. Walpole" could shine for two. If people supposed that H. stood for Horace, why, that was their own affair." Ok I loved the Horace Walpole reference. The very real fun of the story is seeing the interaction of Mrs Withrop and her family with the other residents on the lake. One member of the family is an aspiring author and she is pursued by a wealthy youngish bachelor. The lake has enjoyed as residents some of the great writers of the European tradition. Madame de Staël stayed in a chateau on the lake and was visited by many illustrious figures. Mrs. Withrop and her family are very taken with tne connection to Madame de Staël. There are lots of interesting conversations. Byron wrote Childe Harold on the lake and this attracts poets, one of whom plays a big part in the story. Perhaps tne grand theme of the story concerns whether a woman can be both a committed writer and a wife. 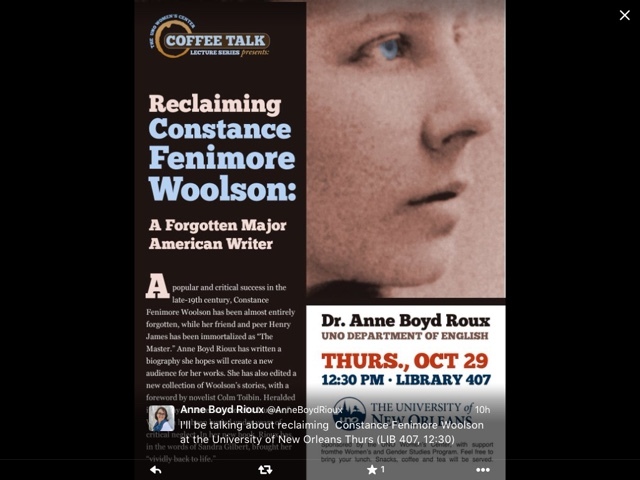 I wish I was able to attend the presentation of Anne Boyd Rioux. I hope the publication of her two Woolson books in February of next year will introduce Constance to readers all over the world. Mel and I have begun her novel Anne. I will continue on with her European short stories. Several of Woolson's works, including Dorothy and other Italian Stories can be downloaded for free on Amazon. There are also two E books for sale that suggest they are the complete works of Woolson. They are not at all complete and should not be purchased. Suite Francaise was my entry into the wonderful novels and short stories of Iréne Nemirovsky (1903 to 1942). I have now read eight of her novels and ten of her short stories. 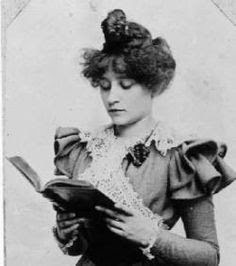 She wrote fifteen novels and over thirty short stories. I love her work. Eventually I hope to read her full oevere at least once. 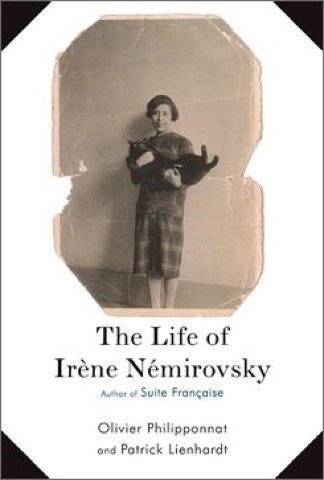 I wanted to know more about her life than I could learn from brief online articles and The Life of Iréne Nemirovsky by Oliver Philipponnat and Patrick Lienhardt served me quite well. She was born in Kiev, Russia in 1903. Her father was of peasant stock and rose to serious wealth by trading on a large scale. He was a financial advisor to the Czar. He fled Russia for Finland with his daughter Iréne and wife Fanny in 1917 when the post-Czarist government issued a warrant for his arrest. 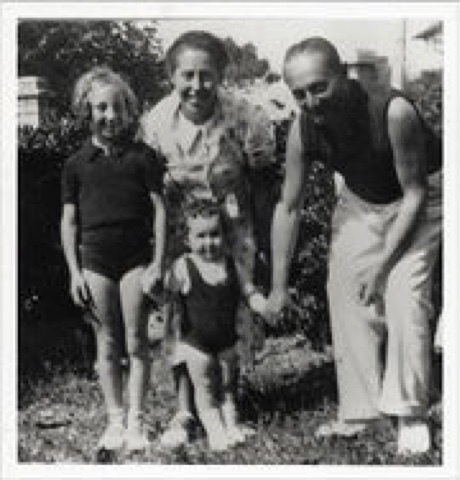 After a year the family moved to Paris where Iréne would live until turned in by French gendarmes as a Jew. She applied and was turned down for French citizenship. The father had transported significant wealth and once again established an affluent life for his family. She was transported to Auschwitz where she died in 1942. Her husband Michael Epstein tried frantically to get her released. He ended up also dying in Auschwitz. Their two children were kept in a convent until the war ended. 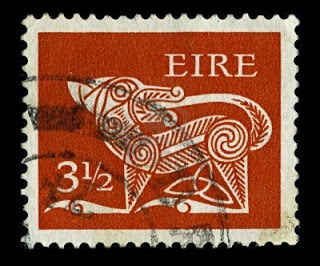 The dominant psychological force in her life was the mutual hatred of Iréne and her mother. I like to read literary biographies, not because I generally read literature in search of biographical clues but because i like to ponder the well streams of creativity. Literary biographies present a great challenge. Do you focus more on the life or the work? Do you relate every incident in their life to something in their works, is their old nanny and school chums searched for in their works or do you focus on the day to day year to year activity of the subjects life? The best biographies find a way between these two extremes, helping us to understand why the author wrote what the did while letting us feel we know them. Thd Life of Iréne Nemirovsky leans slightly toward being a work of literary exigis. The section of the book devoted to the Russian years of Nemirovsky was fascinating, I learned a lot about late Czarist upper class life including who the financial advisor of Rasputin was! There is much cultural data in the opening sections that provided me with a wonderful learning experience. The Nemirovskys were Jews and there were ugly currents of anti-Semiticism in late Czarist Russia. There were terrible pograms, mostly by Cossacks. IShe wrote only in French which she learned very young from a French governess. She loved Classic French and Russian literature. In 1929 she published her first book, David Golder, about a Jewish Russian banker living in Paris with his wife and daughter. 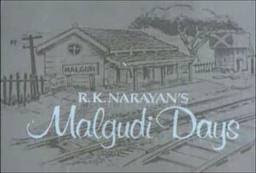 It was tremendously sucessful and was made into a movie. From then on Nemirovsky wrote at least one novel a year as well as numerous short stories. In Paris I was intrigued to learn Nemirovsky was considered "wild" but there are no details provided. A very important aspect of the life, and very much seen in her work, is her troubled relationship with her mother, who does seem a horrible person. Némirovsky's novel Jezebel is said by the biographers to be partially based on the mother. Close to a third of the book is spent detailing the plots of various books she wrote and in offered explanations as to how these books were related to her life experiences. Nemirovsky saw herself as a mother and a wife who wrote fictions and I wished their was more on the day today business of her life. For example, we are given no idea what she ate or fed her children but their is a lot of data on the publishing industry in Paris from 1929 to 1942. We learn she graduated from the Sorbonne but nothing of her student days. 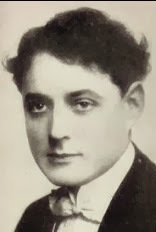 There was at one time controversy about Nemirovsky portrayal of the Jewish banker in David Golder. She made pointed references to her "poisoned blood". Some have accused her of being anti-Semetic but this is just too stupid to speak about on The Reading Life. Great shame is reflected on the French by their treatment of French Jews. Nemirovsky was turned over for transportation to Aushwitz by Parisian policemen. Their are many fascinating facts mentioned in passing about French life and culture. 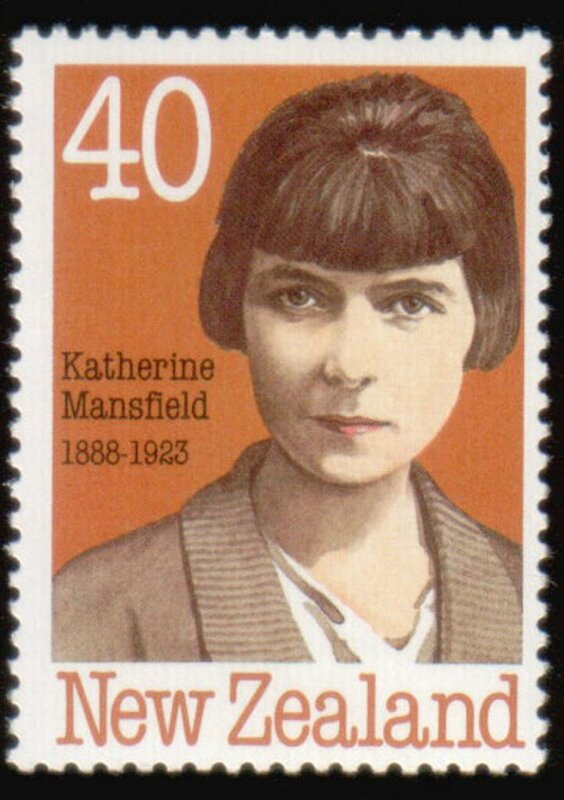 I was deeply moved to learn that tne last literary work Nemirovsky probably read was The Journal of Katherine Mansfield. The description of her transportation by train to Auschwitz was truly heartbreaking. The Germans cheated the world, I feel this personally, of at least twenty more novels. At 39'she was a great writer. The authors tell the story of the 2004 discovery and publishing of her acknowledged by all master work Suite Francaise. It is so terrible to imagine a creator of such beautiful wise works as Iréne Nemirovsky murdered by the Germans. The country she loved helped send her to her death. She was a kind gentle profoundly intelligent person who believed France was the most beautiful country in the world. 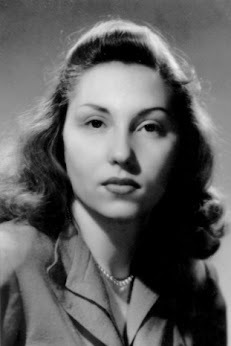 There is much to admire about The Life of Iréne Nemirovsky. I am glad I had the opportunity to read it. It is for lovers of Nemirovsky, not just for the curious. Ambrosia Boussweau, European Correspodent of The Reading Life, looks at "Bro." 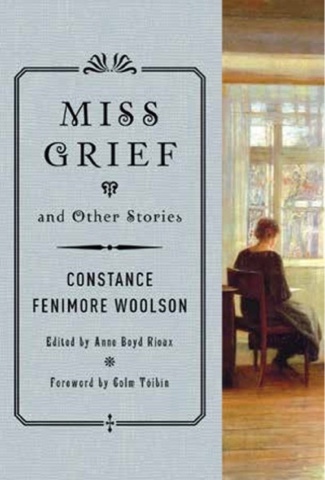 And other stories of Constance Fenimore Woolson in the light of Frank O'Connor's ideas on the short story. (born 1840 in New Hampshire, died 1894 in Venice, Italy). I have also read Constance Fenimore Woolson Portrait of a Lady Novelist by Anne Boyd Rioux, a wonderful book, a true labor of love. The only book worth reading on the short story is The Lonely Voice A Study of the Short Story by a great Irish practitioner of the craft, Frank O'Connor. I want to look at Woolson's "Bro." and other of her stories to see if they can be read in accord with the ideas of O'Connor who had three interrelated theses about the nature of the short story. One was that short stories are about marginalized people on the fringes of society with no one to speak for them. Secondly he felt short stories can often be seen as literary studies of loneliness. Third he saw the central characters in short stories as symbolic representations of mythic or religious figures. He devotes much of the opening chapter of his book to Gogol's "The Overcoat". He devotes chapters to Guy de Maupassant, Ivan Turgenev, Issac Babel, Mary Levin, and Katherine Mansfield. Some of his observations are quirky but they are always interesting. "Bro." Is set on an island. Our title character "Bro" ferries himself and others to the island. He thus evokes the figure of the ferryman in myths from ancient Egypt up to medieval legends of ferrymen. He is an isolate and works in a mill. He also invents mechanical devices. He lacks conventional social skills. He takes his meals with and is very close to the family that owns the mill. He has long been in love with their daughter. He is kind of a man beast figure. One day the grandson of a family friend returns to the island after a years long absence. Clearly he symbolizes the return of the prodigal son and can stand for a miriad of wandering figures. Soon he and the young woman are in love. He wants to marry her but he also wants to go back to Europe but he does not have the funds to take her along, or maybe that is an excuse. Now he is the wanderer, the stranger, who steals the virgin daughter. The grandson is not an evil person, just not a saint. He sends some inventions Bro has made to a patent attorney he knows who ends up selling the idea for a screw for $10,000, a huge fortune at the time. Bro then, through a proxy keeping himself anonymous, offers to buy some waste land on the island from the grandson for $10,000. He knows now the grandson can marry the woman and take her away. He then embarks on a program of development for the land that will make the woman want to come back. It is also the story of the creation of civilization from the efforts of an isolate strange figure, a mechanical creator and a creator of living space out of the sate who asks for nothing for himself. We have here also a version of the legend of Orpheus and Eurydice, with Europe as the upper world and the backwoods island as the underworld. River islands play a part in two other Woolson stories we have read so far, "Sister Saint Luke" and "Soloman". There are lots of legends and myths centering on river islands in central and Eastern European mythology. The story "Soloman" screams out yes I fit the O'Connor pattern. The figure of the failed artist resonates to more cultures than we can find space enough to explore. "Saint Claire Flats" is perhaps the most evocative story, it is partially about the myth of America but it goes deep to the roots of culture and the spread of civilization. We will next be reading the "Italian Stories" of Woolson. The Boussweau family has a long connection with Venice, establishing trading routes to Indian. The family maintains a residence on the Grand Canal. "Z. Marcus" refers to one Zepphrin Marcus, a seemingly brilliant young man who tries a number of courses of study and fields of work but can barely manage to support himself. The main, perhaps the only, enduring interest in this story is the picture it gives of life in a rooming house for law students which is very well done. The conversations between the students and the depiction of the way the students studied, partied and struggled through their meage incomes to get by was interesting. Balzac loved to dwell on the dark side of Paris. One must assume, based partially on Stefan Zweig's book, Balzac, that a manwith the incredible energy and couiosity of our author, that he had a direct acquaintance with rhis aspect of Paris life. Like Dickens, he comes most to life writing about imperfect people. In The Wrong Side of Paris, I think this is the best translation of the title, our thirty year old main character has become tired of the dissolute money driven life he is leading. He learns of a rooming house run by a noble woman with a tragic past, inhabited by an organization of men devoted to announmosly doing good deeds, helping those in distress. The revolution of 1793 had devasted the lives of all the men in the organization, destroying their world. He learns of a Polish family (Balzac had his own "Polish Connection") living in the slums of Paris. The wife lives in luxury not knowing the cost of her life style is born by the poverty ridden existence of her family. Of course our hero saves the day and joins the secret society. "It was the only way they knew. Cousin Copeland lived only in the past, Gardis in the present; and indeed the future, so anxiously considered always by the busy, restless Northern mind, has never been lifted into the place of supreme importance at the South." From "Old Gardiston"
Having read ten short stories my Constance Fenimore Woolson I am beginning to see why I like her work so much. Each of her stories, varying in length (I E read so a direct comparison to book page lengths is inexact) from twenty five to fifty pages creates a complete self contained world with its own values, history, physical enviorment and interesting people, especially focused on women. The stories seem to focus on cultures in decline from old aristocracy and have buried deep within them contrasts of Northern and Southern Values. This dichotomy may at first jump out in the stories in Rodman the Keeper Southern Sketches as just an American matter but it goes way back in European history to at least the working out of the social consequences of the rise of the reformation in Northern Europe and probably much further back. I was thinking yesterday that her stories remind me of those of Alice Munro who creates so much of life in her works. Woolson, I am struggling with what to call her, felt deeply tne impact the defeat of the Southern States in the American Civil War (1861 to 1865) had on the old planter castes, the owners of the great plantations, the former aristocrats. (For a visual flash to Scarlett O'Hara struggling to keep her home and family intact after the defeat). "Old Gardiston" is set, I think, somewhere in the Carolinas in a once grand now in ruins plantation house named "Old Gardiston". The family ownership goes back maybe two hundred years. It is just shortly after the end of the war, maybe 1867. There are still northern troops occupying the territory. Living in the house are Gardis Duke, a young woman, her cousin Copeland, a bachelor in late middles ages. Gardis is educated as a woman of an aristocratic family in a Jane Austin novel would be, Copeland spends all his time researching old family history. There are also two former slaves still working for them. One day two Union officers, regarded as pure villains by the planter caste, advise Gardis that the troops they command will camp on the plantation. Even though Gardis is assured by the very gentlemanly acting officers that they will in no way be harmed by this she is agast almost catching the vapors (ok, I could not resist that). The plot action gets very interesting. The officers are given an obligatory by customs dinner invitation and they are both quite charming, single and taken with Gardis. Gardis and Copeland are supported by the rent they receive from a warehouse they own in town. The plot is so intriguing I will not tell anymore, just make a few observations. It is exciting and dramatic and kept me very involved. In terms of romantic actions, the story is a throw back to the Georgian era where men fell at once in love with a woman based on her looks and knowing little about her, decide they must marry her no matter what. It is total love at first sight. The use of this in this story strains credibility and but maybe Woolson felt her readers and magazine editors would want a romance with some intrigue so she threw one, actually two into the plot. The characters are very interesting, the picture of the old south being despoiled by venal opportunists is brilliant. I was startled by this paragraph, describing Cousin Copeland's efforts to find a job. "Reaching the town at last, he walked past the stores several times and looked timidly within; he thought perhaps some one would see him, and come out. But no one came; and at last he ventured into a clothing-store, through a grove of ticketed coats and suspended trousers. The proprietor of the establishment, a Northern Hebrew whose venture had not paid very well, heard his modest request, and asked what he could do. "I can write," said Cousin Copeland, with quiet pride; and in answer to a sign he climbed up on a tall stool and proceeded to cover half a sheet of paper in his best style. As he could not for the moment think of anything else, he wrote out several paragraphs from the last family document. "Richard, the fourth of the name, a descendant on the maternal side from the most respected and valorous family--" "Oh, we don't care for that kind of writing; it's old-fashioned," said Mr. Ottenheimer, throwing down the paper, and waving the applicant toward the door with his fat hand. "I don't want my books frescoed." I owe my discovery of the short stories of Woolson, which I regard as world class literary treasures, to Anne Boyd Rioux. I hope the Febuary 29, 2016 publication of her two wonderful books will bring Woolson back into fashion. Much of Woolson work, her total oevere is not real huge, can be downloaded at Manybooks.org. I have easy access to eight more Woolson stories and hope to read them soon. People often wonder how a first time novelist got inspired. Today I am honored to share with my readers Vaseem Khan's answer to that question. Not long ago I had the great pleasure of reading the debut novel of Vaseem Khan, The Unexpected Inheritance of Inspector Chopra. I loved it and hope it is the first of many to come. The subtitle of the book is A Baby Ganesh Agency Investigation, gives me hope it is the first in a long series of works centering on retired Mumbai Police Inspector Chopra, his wife Poppy and Baby Ganesh, a four hundred pound baby elephant he unexpectedly inherited from an uncle. Vaseem Khan is from Mumbai and he totally brought the sprawling mega-city of twenty million to life, as seen though the eyes of a veteran police inspector, a head officer of a police station. As portrayed police officers of all ranks are very tempted to fall into corruption. The pay is not huge and giving into graft can bring riches. Inspector Chopa in his thirty year career has never given in. He is fifty and has recently had a heart attack and is being forced into early retirement. He and his wife Poppy have no children, they live in a good high rise community. He worries what he will do once he retires, his wife wants him to just relax but he really has few outside interests. On the last day at work there is a nice party for him. He also gets a very unexpected gift, a baby elephant. He names him "Ganesh" and takes him home and chains him up out front of the building. Needless to say, Poppy is not real thrilled. Near his last day a woman came into the station saying her son has been murdered but because he is from a poor family know one will really investigate his death. Chopa is bothered by this and from that feeling the story unfolds. Poppy is a great cook and foodies will relish all the meals she cooks. 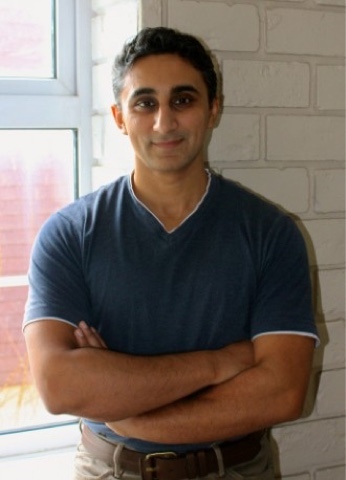 Vaseem Khan is the author of 'The Unexpected Inheritance of Inspector Chopra', first in the Baby Ganesh Detective Agency series set in India and featuring a baby elephant! He first saw an elephant lumbering down the middle of the road in 1997 when he arrived in the city of Mumbai, India to work as a management consultant. It was the most unusual sight he had ever encountered and served as the inspiration behind his light-hearted crime novels. Vaseem was born in London in 1973, went on to gain a Bachelors degree in Accounting and Finance from the London School of Economics, before spending a decade on the subcontinent helping one of India's premier hotel groups establish a chain of five-star environmentally friendly 'ecotels' around the country. He returned to the UK in 2006 and has since worked at University College London for the Department of Security and Crime Science. Elephants are third on his list of passions, first and second being great literature and cricket, not always in that order. - from Goodreads. 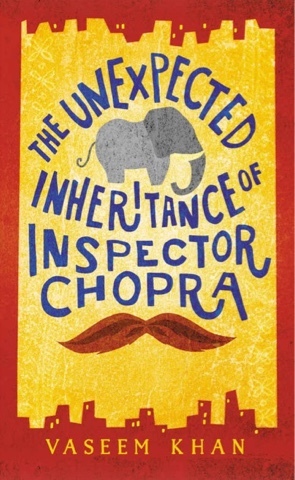 Following the release of my debut novel The Unexpected Inheritance of Inspector Chopra, which follows a Mumbai police inspector forced into early retirement who cannot let go of the final case of his career – the death of a poor local boy – whilst simultaneously faced with the outlandish dilemma of taking in a baby elephant sent to him by his enigmatic uncle, I have been asked by readers why I chose India as a location for a crime novel and why I picked an elephant as a sidekick to the lead character, both rather unusual choices in the often constrained world of crime fiction. Firstly, it was perhaps inevitable that I would choose the subcontinent as a setting for my debut novel. Although I grew up in England I later spent ten incredible years in India, at a time when she was transforming into the global powerhouse that she is today. When I returned to the concrete urbanscapeof London’s East End, the kaleidoscope of fond memories that returned with me demanded an Indian canvas. 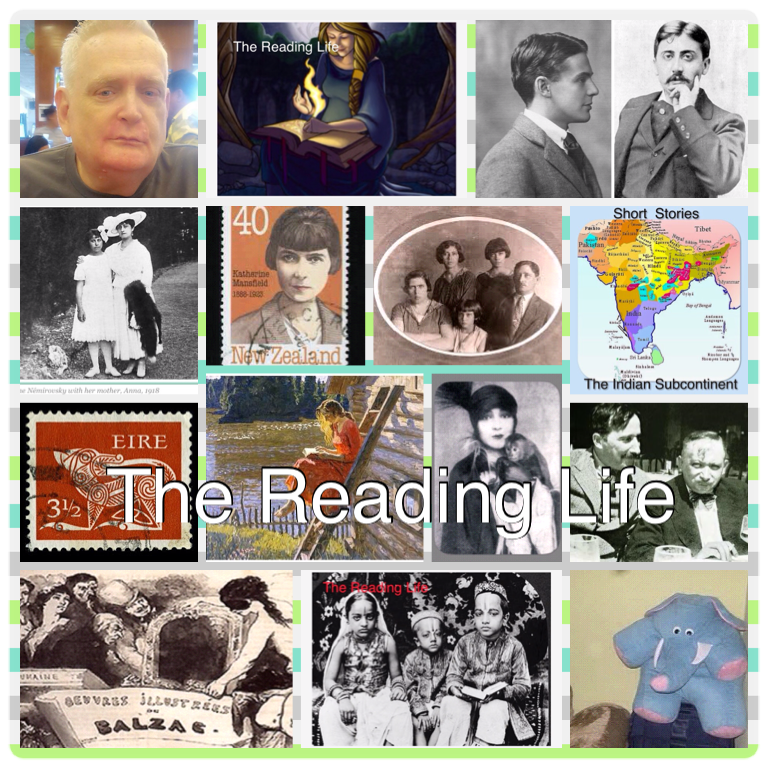 With this book I wanted to take readers on a journey with me to the heart of modern India. In particular I wished to showcase the city of Mumbai – once Bombay – where I was based. Mumbai is one of the world’s great metropolises, often called ‘the city of dreams’. People come to Mumbai to make their fortune, to become famous on the sets of the world’s most prolific movie industry, to start micro-businesses in the city’s slums. But where there are dreams there are also nightmares, and Mumbai suffers from high rates of crime, as well as many other social problems. Like most Indian metropolises the city is facing a cultural onslaught from westernisation – which brings both good and bad, as I describe in my novel. Inspector Chopra stands on the shadow line between old and new India. Old India is tradition, religion, the caste system, ubiquitous poverty; new India is wealth, skyscrapers and western sensibilities eroding the ancient way of life. The sights, sounds, smells, and even tastes of this modern India flesh out my canvas as Chopra and little Ganesha, his elephant sidekick, pursue an exotic gallery of villains and evildoers over the course of my series. As for an elephant as a sidekick . . . Aside from the fact that I am passionate about these incredible creatures, there are some very practical reasons why an elephant makes perfect sense as a crime fighter. Firstly, elephants are supremely intelligent creatures, one of just a few who are legitimately classified as being ‘self-aware’. They also possess excellent memories, a trait that has been amply employed by such renowned detectives as Inspector Morse – elephants really do not forget. Elephants are also known for their complex social interactions and ability to feel empathy. As a writer this emotional range is important to me – part of the charm of my series (as readers have expressed to me) lies in the relationship that gradually develops between the somewhat rigid Chopra and the, at first, despondent infant elephant that has been vouchsafed to his care. Of course, we mustn’t forget that Ganesha is a child and like all children is endowed with an unbridled sense of curiosity. As we shall see, this occasionally leads him into trouble, at which point his other singular and endearing quality will stand him in good stead – courage. Besides, humans, in my experience, feel an immediate kinship with these magnificent creatures. Their size awes us. Their gentle natures inspire in us a sense of warmth and affection. After all, elephants and humans have worked together in many arenas – industry, the circus, pageantry, transport, and war. When you think about it, it is not beyond reason that an elephant might partner with a private investigator. As I apply the finishing touches to the second book in the series – The Perplexing Theft of the Jewel in the Crown – about the theft of the legendary Koh-i-Noor diamond from the Crown Jewels which are being exhibited in India – I am pleased to see the relationship between Chopra and Ganesha grow and strengthen, and even more pleased to showcase more of the incredible country for which I retain a lifelong fondness and where such things are not entirely beyond the realm of possibility. After all, of all places in the world, India is where the impossible becomes merely improbable. My great thanks to Vaseem Khan for taking the time to share this with us. It is great to hear his second novel will be out soon. Three of her short stories are set in Florida. In every story a descendent of Minorcan colonists plays an important part. Thinking I am perhaps not the only one whose knowledge of Minorcans is very low I am taking the liberty of sharing this information from Ancestory.com. 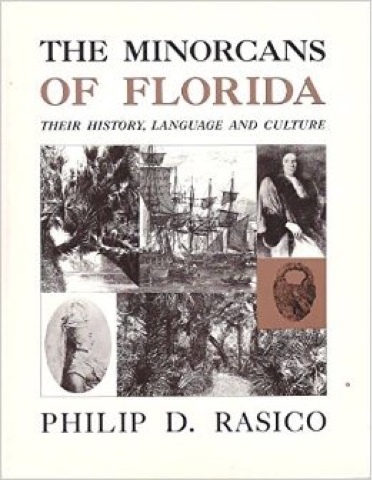 Woolson was clearly fascinated by the Minorcan descendants still in the area. I think it is part of a dicta you of Protestant versus Catholic, Northern European versus Southern and one must acknowledge lighter skinned people versus darker. I am just a Woolsonian neophyte and I am speculating by foisting this on her but it seems hard not to see it. "Miss Elizabetha" takes place in the 1870s in rural North East Florida. Miss Elizabetha came down long ago from the north and never left. She has a small farm where she grows a lot of her needs. 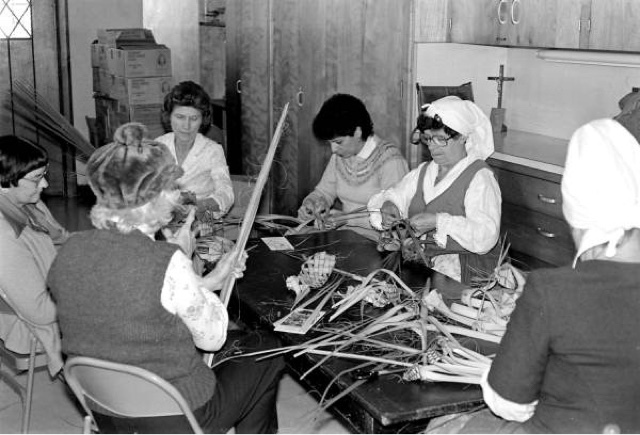 To earn cash she weaves palmetto leaves into baskets and such for the tourist trade. She has a ward, a boy of Spanish ancestory. Her life revolves around him, she is home schooling him and is focusing on his ability as a singer. Miss Elizabetha also gives piano lessons to supplement her income. The boy is gifted musically. One day he tells Miss Elizabetha he heard an incredibly beautiful woman singing on the beach, almost an angel. Compressing a lot, the woman is a world famous opera singer and she wants to take the boy and educate him musically. She finds there is no legal tie of the boy and Miss Elizabetha and says she will just take him but Miss Elizabetha holds strong. The woman leaves but prophecies another will come and take the boy. It happens in a way I never expected, nor did Miss Elizabetha. To her dismay she finds the boy is involved romantically with a fourteen year old Minorcan girl. A darkly beautiful girl from a family of no education, no accomplishment who breeds on and on. The plot gets very interesting now and I will leave it untold. This story perfectly plays into the dichotomies I spoke of at the start of my post. It would be a great work for class room discision, I think. Like much of her work, it seems, a death is central to the meaning of the story. Much of the work of Woolson can be downloaded from manybooks.org. Forthcoming February 29, 2016. This book is the very model of a perfectly done one author short story anthology. I will next read two more of her set in the American South short stories and I will then move with her to Italy. "Fraterité", "Brotherhood", deals directly with the soon to be deadly serious issue of Jewish cultural identity in France. Historically most French Jews have Eastern European or Russian roots. News whose ancestors moved several generations ago, who spoke impeccable French and often little or no Yiddish thought of themselves as French citizens who happened too be Jewish. There was a kind of distance al out fear of the so called Yiddish Jew in the minds of what were called then "European Jews". They did not want to be seen by the broader public in a deeply anti- Semetic country as being related to Jews speaking a strange language, dressing differently, etc. Our central character is a very affluent Jewish business person, married with two grown daughters. He is in the first class waiting room of a train station. It will be ninety minutes until the Paris train arrives. An obviously poor Yiddish Jew has entered the lounge area, along with his grandson. He besieges the man to let him and his grandson sit with them so they won't be put out of the lounge. There is no heat in the third class lounge and his grandson is not strong. The recognize each other as being Jewish. To his great shock he discovers they have the same obviously Jewish family name. When this story was written anti-Semetic laws were just going into place in France. 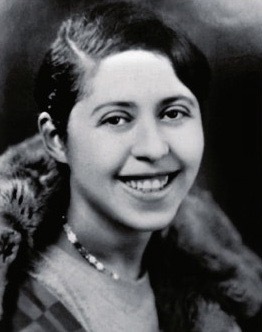 Nemirovsky was on tne first train of Jews sent to Auschwitz where she and later her husband died. 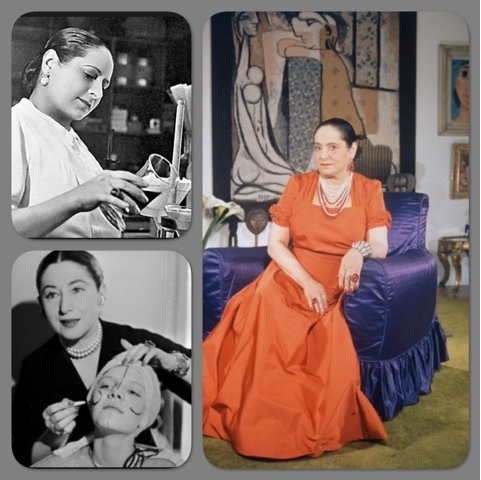 Helena Rubinstein (born 1872 in Kraków, Poland, died 1965 in New York City) created the cosmetic industry, became a billionaire starting with nothing (inflation adjusted), transformed herself into an Icon perhaps matched in her time only by Coco Chanel. She taught millions of women how to make themselves beautiful. She became a renown supporter of the visual arts, know for her exquisite taste. 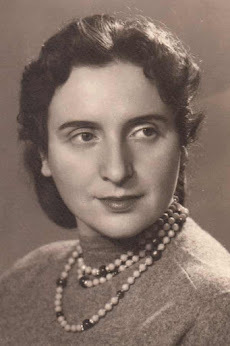 She was the eldest of eight daughters from a struggling family in a povertly ridden Jewish Shetl in Kraków, Poland. Fitoussi shows us how much a potential struggle it was for her parents to find suitable husbands and provide the expected dowry for each daughter. (In my post on this wonderful biography I will mostly focus on some of the many things in the book that most struck me and will not set out a sketch of her life.) 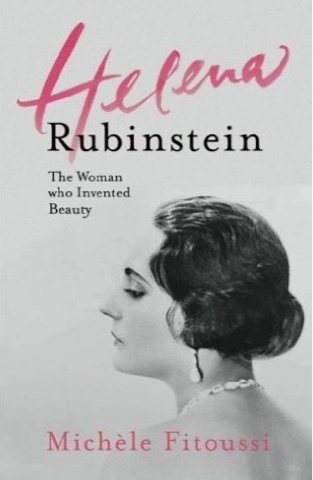 I will say this is a very good book, it is far more than just a biography but also a portrait of Jewish life, a history of the modern cosmetics industry, and it gives us a vivid look at the struggles that Helena Rubenstein as a Jewish woman basically on her own for her formative years faced creating a business empire that still thrives. The roots of her empire were in a cosmetic cream her mother made. 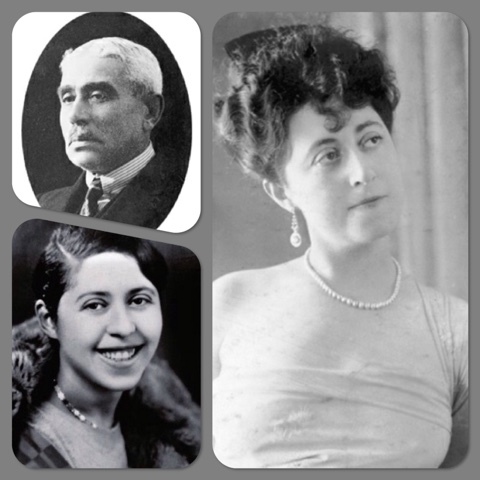 Members of the greater Rubinstein family had emigrated to Australia and Helena decided that was best for her. She did not want to be just another housewife, none of the prospective mates suggested for her were suitable. As I read on in the book, I am more and more impressed by the tremendous work ethic of Helena. When she arrived in Australia, she went to work on an uncle's farm. She worked tremendously hard. She was very beautiful and her family there tried to find a match for Helena among the limited number of single Jewish men in the area. In the mean time Helena noticed the devastating impact of the Australian sun on the skin of women, she had her mother send her some jars of her cream. She began to research cosmetics, wondering how to make a skin cream from local products. She developed a product and with the help of men friends she had acquired, began to market her product. After having a falling out with her uncle she went to work as a waitress in a coffee shop. There she met men who helped her set up a cosmetic shop selling a cream she had created. An important skill she learned in Australia was advertising and promoting her product. Compressing a bit, her shop did very well and soon she had shops throughout Australia. One of the things I liked so much about Helena was her loyalty to her family. Numerous family members ended up working for her. She wanted to go back to Europe for a visit and to expand her empire. By the time she returned to Europe, she had over half a million pound in an Australian bank. Helena wanted to conquer the French cosmetic world and she succeeded. She began to use her now serious wealth to buy beautiful apartments, collect art and mix in high social levels. She married a man that helped her business a lot, he was also dependent on her financially but once I overcome my skepticism I thought he was not that bad a husband, aside from cheating on her. They had two sons but Helena was so busy with work that much of the raising of the boys was done by hired servants. The boys had life time issues with their mother but they were very close. Helena kept getting richer and richer and more and more famous. She had one world left to conquer, the American cosmetic market. Conquer it she certainly did. It was hilarious to follow her feud with Eve Arden. Just before the American stock market crashed in 1929 Helena sold ninety percent of her company to a Wall Street firm, the Lehman brothers. The sale made her one of the richest women in the world. Lehman Brothers took the company public by selling stock. The crash destroyed about ninety percent of the stock value. Now Helena showed true brilliance. She got a list of all those who had bought stock from Lehman brothers and she offered to buy it slightly above the post crash price. She soon had control of her company back and when the price rebounded she was all the richer. A girl from a Polish Shetl out smarted Wall Street. I loved it. Her first marriage had ups and downs. He cheated on her. Every time he did, she bought herself expensive jewelry. She would divorce and marry a prince. This is really an interesting book. I learned a lot from it. Recently I read two biographies of Coco Chanel, I see similarities between the two women but I see Helena as the better person. 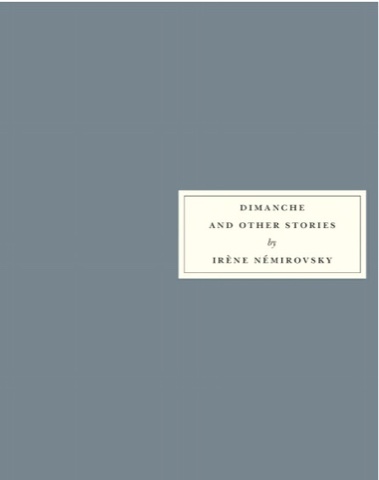 There are ten short stories by Iréne Nemirovsky pictured above. Most of the stories are set in Paris just before or right after the start of World War Two. "Those Happy Shores" is set in a bar, a place where an affluent man from the provinces in town on business might stop in looking for professional female company. The story focuses on a woman who had been the mistress of an unmarried man for ten years. She lived in a nice apartment he provided and from his allowance. He always planned to include her in his will but once the cancer set in his mind set was elsewhere. 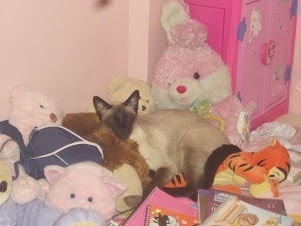 Everything ended up being left to his sister who threw her out. Now she waits in the bar, hoping to find another long term lover but settling for a man for the evening. We see her struggle not to think of herself as a prostitute, she is forty. In the bar she meets a beautiful twenty year old girl, just starting in on the life. It was fascinating to listen to them talk. As the story winds down, tne bartender tells her she is no longer welcome in tne bar, the pYrons are tired of her asking for drinks and cigarettes. As she walks the Paris night, the happy shores of the Seine seem to call her.